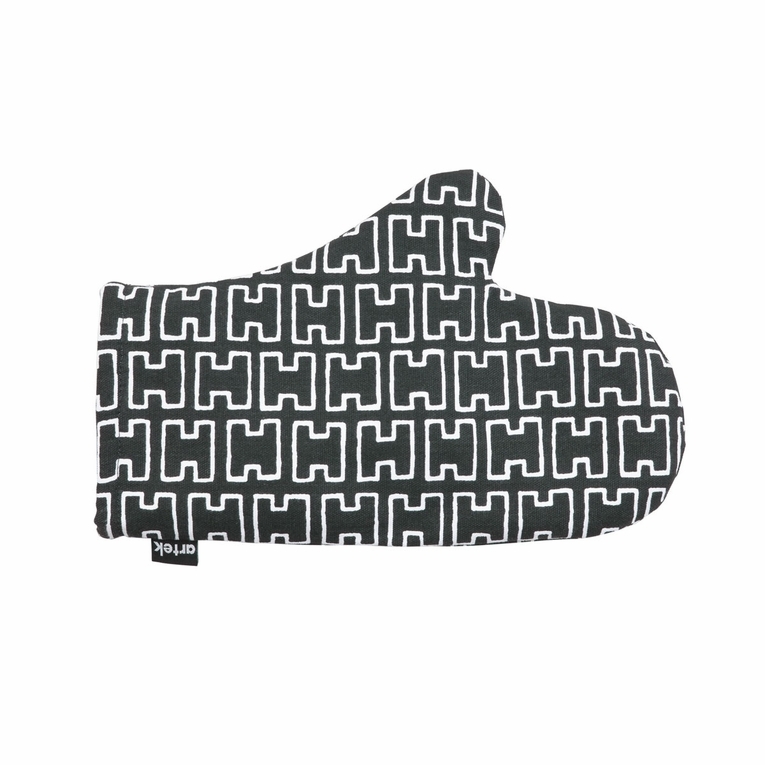 The strong and structured design on the Artek H55 Charcoal Oven Mitt comes to us from Alvar Aalto's wife, Elissa Aalto. Originally designed in 1955, this timeless pattern is made up of white sideways "H" shapes lined up against a contrasting almost-black background. This 100% cotton oven mitt is thick yet moveable, making it as functional and it is beautiful. Cause a stir in the kitchen with the bold and powerful design on the Artek H55 Charcoal Oven Mitt. Price is for one oven mitt.